If you are like me, and you notice all smallests details of the games you play, you are going to like this game. 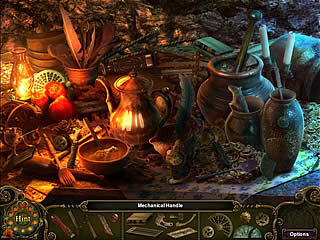 Dark Parables: The Exiled Prince is one of the latest releases into the hidden object/adventure games. 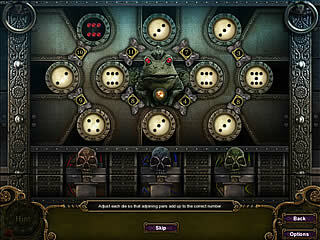 The game features a great story, absolutely wonderful graphics, and challenging tasks for you to accomplish. Playing as a detective who is to find the girl and her bodyguard you get to explore the forest. So the story that unrolls before you seems to be familiar at the beginning. You join a chancellor's daughter and her body guard as they walk in the forest. Soon they get lost and even missing, and that is the start of your adventures. As they go they talk about the Prince from the story where he used to be a frog, but turned into a man after being kissed. The classic story tells us that the used-to-be-a frog prince and the kisser lived happily ever after. But according to the game things went wrong somewhere along the way and the poor guy is now wandering in the forset. Such a beginning was a great hook for me to stay there more to see their version of the end of the story. One of the first things that you are going to notice about the game is that everything looks so very beautiful here. That is true not only for the still scenes, but also for the animated parts that only make it so much better. 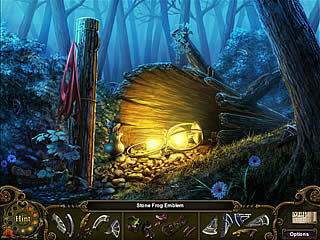 As to the gameplay, the hidden object parts and the adventure parts are balanced in a very nice way. The game creates the general feeling that you left on your own there in a good way. Pretty soon in the game, you get a map of the forest and the hidden object areas. You are guided, but at the same time it's up to you where to go. That created a really nice atmosphere of a deeper kind of involvement. The hidden object levels are such a pleasure to play. No clutter there. Everything usually belongs to the place and makes a lot of sence. You will usually collect the pieces of some inventory to be used somewhere else later. The puzzles that serve as mini-games are unique and fresh int he way they are presented even when it is ald same puzzle patters. The game is definitely going to meet every possible requirement for an awesome hidden object/adventure game. This is Dark Parables: The Exiled Prince review. Download this game here.